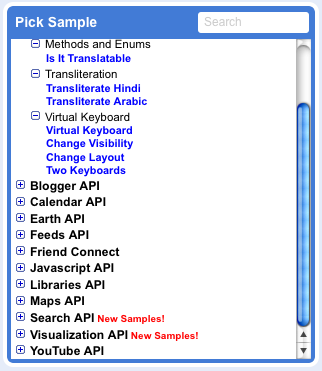 This is a great site that allows you to sample, test, and Debug HTML code in a variety of formats. Work with multiple API’s and discover the possibilities. If you’re one that always thought you could get away with having an online presence without learning HTML code, then read no further. However, if you’re one that’s ready to explore and learn the art of how to use HTML to better your online presence and create a more vibrant and professional website or Blog, then check out the Google Code Playground. You can’t hurt it, or break it, just practice and learn. It’s one of the better playgrounds out there for adults, and of course the Real Estate Industry Professional. My recommendation would be to first check out some of the things you can create and do with Video, players, and API using custom HTML codes. Ok kids, the “Playground” is open, have fun.